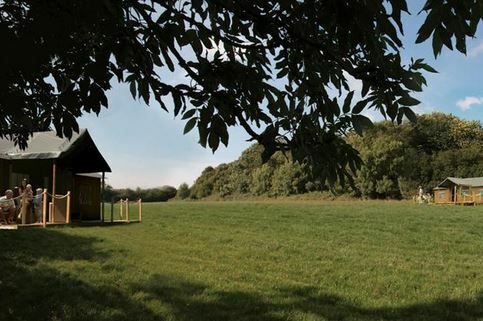 Lantern & Larks is a glamping site on the outskirts of Sweffling near Saxmundham. Our glamping tents are a great place for family and friends to gather and enjoy the peace and tranquillity of the countryside while still being within easy reach of many main attractions. The Suffolk coastline offers a collection of uniquely beautiful places to see, delights to experience and things to do. We are an ideal base for a family break away as there are many family attractions nearby. Easton Farm Park is ideal, here you can enjoy pony rides, cart and train rides; feed the farm animals and hug a bunny (but you have to give it back). Firmer legs and inquisitive minds will enjoy the steam and engineering exhibits at Long Shop Museum, Leiston or the Cold War museum at RAF Bentwaters. With energy to spare - take to the parapets of Framlingham Castle to protect your lands from marauding little sisters, to be rewarded for your valour with the order of the ice cream.